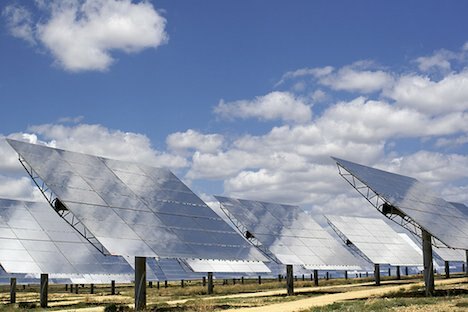 Two new solar projects have been announced in Australia: the construction of a 150MW solar photovoltaic farm in Moree, New South Wales, and the construction of a 250MW solar thermal-gas hybrid plant in Chinchilla, Queensland. Both projects will produce enough energy to power 100,000 homes. Upon first glance, the news that Australia has decided to invest in utility–sized solar projects seems to come as no surprise. After all, solar technology has radically improved in recent decades and the “sunburnt country” receives plenty of sunlight. To an outsider (such as myself) it would seem that if any country should be investing in solar power in a big way, it should be Australia. But apparently this does not seem to be the case. I sifted through Australia’s energy records, and it seems that Australia actually uses a lot of coal-powered plants to generate electricity. In fact, 42.1% of Australia’s greenhouse gas emissions are produced by burning coal. These numbers of course do not include the coal Australia exports to other nations. So for a country that has relied on coal for so long, these investments in solar power are actually big news. They show that Australia is ready to move forward on renewable energy and capitalize on clean energy resources it has in abundance. In fact the solar thermal-gas hybrid plant in Chinchilla is something that could be looked into for future energy projects. Solar thermal energy uses mirrors to concentrate solar rays towards a central point to generate heat. A solar thermal-gas hybrid plant utilizes solar technology and natural gas to generate power, thus ensuring that the power plant is able to reliably generate power. When solar resources are not in abundance, the natural gas functions take over, thus allowing the plant to continue to generate energy. These new power plants produce far less greenhouse gas emissions and integrate a renewable source of energy in their design. Australia has so much access to solar energy that it could really become a global leader in solar power generation. Perhaps these new projects are signs of things to come for Australia’s future energy policies. Image CC licensed by langalex: mirrors reflecting sunlight onto a nearby solar thermal tower. They would if there were more of them :) Solar thermal tech can store power when the sun isn’t shining. The ones in Spain use molten salt to do that. It’s genius clean technology. Seeing is believing. At least two solar power stations have been announced of Queensland before. One at Dalby, near Chinchilla. One up north, at Cloncurry. Wikipedia entry for said Spanish base load solar power station. Next post: Poop Burger Hoax: Catchy Meat Alternative Or Just Plain Nauseating?